International TableTop Day was a huge success! My measurement for this was the amount of standing space I had at my local game store. However, here in Phoenix, AZ we did something special this year. 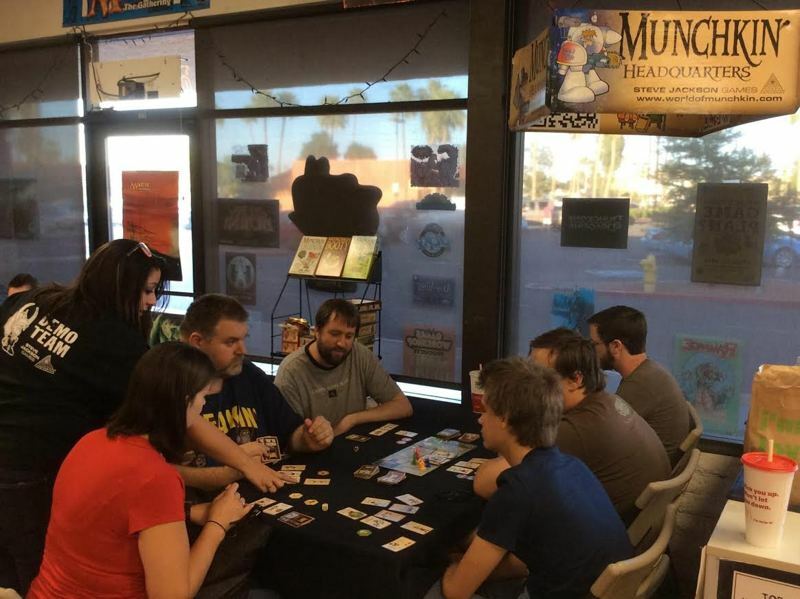 We made history by hosting the first ever Munchkin-A-Thon, as fellow Munchkins fought to keep our game going for nine continuous hours of backstabbing and monster killing, making this one of my most memorable and successful International TableTop Days yet. It's awesome events like these are really moving the gaming industry forward, and I had the pleasure of seeing a lot of new faces this year. So we should send a big to thanks out to all the game manufactures that help support these events, and Wil Wheaton and Geek and Sundry for encouraging people to "Play More Games"! So how did we do nine hours of Munchkin? Find a list of successful tips here!